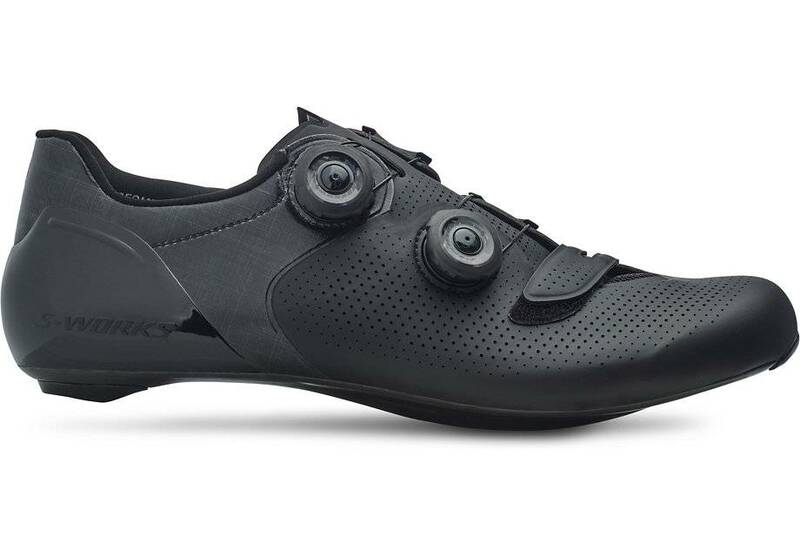 The advantages of the next generation S-Works 6 shoes can be summed up in two simple phrases—explosive speed and superior comfort. The speed comes as a direct result of an incredible fit and better connection, delivering more efficiency and power to the pedals. Meanwhile, the new PadLock™ heel, combined with some outright revolutionarily strong and lightweight materials in the upper, creates a snug fit that's incredibly secure. The result? 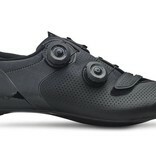 You have a shoe that helps transfer more of your energy into the pedals when you crank up the watts. Add to this the legendary performance and adjustability of the dual-Boa® closure system and the S-Works 6 becomes more than just a shoe, it allows you and your bike to work seamlessly together with maximum efficiency.